RouteShoot is an app that has been around for a while, but it is still as exciting and amazing as it was when it was originally launched in 2012. This unique travel app created by RouteShoot is designed to help travelers and sportspeople to record videos of their route while they are driving, cycling, skiing, walking or jogging. Apart from capturing the video, RouteShoot also keeps the GPS data and stats. This information can be shared with friends and family. It is an advanced video, social networking and routes solution that combines the power of the RouteShoot website and the convenience of a mobile solution. RouteShoot is designed to make things simple when you want to keep visual and location record of your route. The app takes care of combining the video, GPS and statistic graphs of your journey. All you need to do is to record the video from your Point of View and whenever you stop recording, the video will be automatically saved. Once the video is uploaded, it will be stored on secure servers, along with the GPS trace. This means that you won’t need to worry about a large number of videos taking up space on your iPhone or iPad. The app can be useful to record a new route when you are practicing your favorite sport or to capture beautiful views when you are taking a stroll. It is a great option for keeping memories from your holidays, adding point of view material to a travel blog or showing friends and family a route to get to your house. If you love to relive the best views from a roadtrip, recommend a route or share your experience with others, RouteShoot is a practical option. 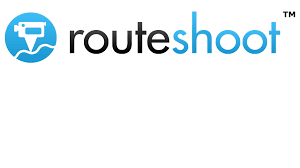 RouteShoot is specially designed to work with social media sites, meaning that you can easily share the videos and information about your routes on Twitter or Facebook. The app gives you the possibility of setting the privacy of the shared routes so you can control who can see them. RouteShoot fully supports the front and back camera, ensuring that you can shoot videos on your favorite way. 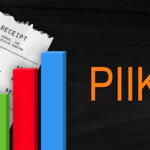 The map system is compatible with the iOS maps functionality to provide effective GPS tracking. While the app takes care of saving the video automatically once you stop the recording, you can manage the settings to decide how to share your videos. You get to preview the videos before sharing them on popular social media platforms like Twitter and Facebook. RouteShoot comes with a video library that allows you to organize and keep track of the videos you have recorded. 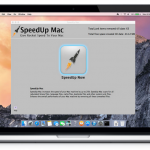 The app is compatible with iPhone and iPad and requires iOS 7 and above to work. It is important to keep in mind that since the videos are uploaded to the RouteShoot server to free up space on your device, you won’t be able to access them offline. RouteShoot is a good option for different purposes. It can be useful for documenting a new route or to help someone with easy directions when they are going somewhere. It can also be practical when you are enjoying the scenery during a trip and want to make sure that you can see the beautiful views again when you get home or want to share them with someone else. The social functionality of RouteShoot will allow users to show others their videos, as well as their GPS tracks. The app can be downloaded for free and it is worth a try.